Making sure our patients remain safe during surgery and other medical procedures is extremely important to us. Our team of veterinarians and veterinary technicians is skilled in using anesthesia and monitoring patients to ensure their safety and provide the most comfortable experience. Anesthesia and patient monitoring vary greatly from clinic to clinic, but you can be confident that at Atlantic Veterinary Care, we use the most effective and up-to-date protocols. The type of anesthesia we use depends on the procedure. Some require general anesthesia, while others may only call for short acting or local anesthesia. 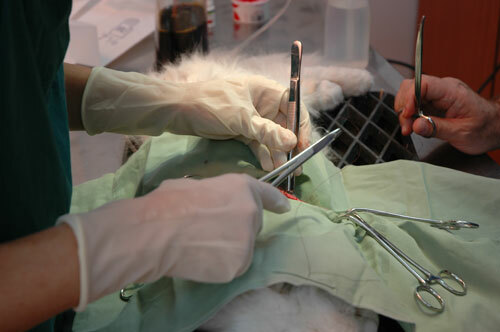 We also closely monitor every procedure, regardless of whether it’s routine or more advanced. For more specific information on our protocols, please contact us with any questions.